New studies on ways to minimize the risk to health posed by energy drinks. LOL… Whut?! Funny, because those lovely megacorporations who actually make energy drinks are pretty emphatic that the vile swill is actually good for us. A bit like, well, how tobacco companies used to market the wonderful throat-soothing and antiseptic properties of sucking down lungfuls of cigarette smoke. Pass me a gasper. Because many countries allow the sale of energy drinks to young people, identifying ways to minimize potential harm from energy drinks is critical. A new study published in the Journal of Nutrition Education and Behavior provided unique insights into intervention strategies suggested by young people themselves to reduce consumption. In addition to more research and education, these strategies included policy changes targeting energy drink sales, packaging, price, and visibility. Energy drinks, nonalcoholic beverages containing caffeine and other ingredients marketed as improving energy, concentration, metabolism, and performance account for more than $30 billion in sales from over 160 countries. Energy drinks can cause adverse health effects such as headaches, nausea, sleep difficulties, seizures, anxiety, cardiac abnormalities, and sudden death, with data in the United States and Australia indicating caffeine overdoses and adverse reactions to energy drinks are prevalent and increasing in adolescents. Thus, researchers from Australia used group interviews to explore knowledge of energy drinks, factors influencing consumption, and intervention strategies to decrease energy drink consumption in young people. Interviews were conducted with 41 people, aged 12 to 25 years, with groups arranged so that all participants fell within a 5-year range. Participants were recruited based on a convenience sample of those in the Perth area, of the correct age, who spoke English. A discussion guide was constructed and eight group interviews lasting 30 to 50 minutes were conducted by the same facilitator. 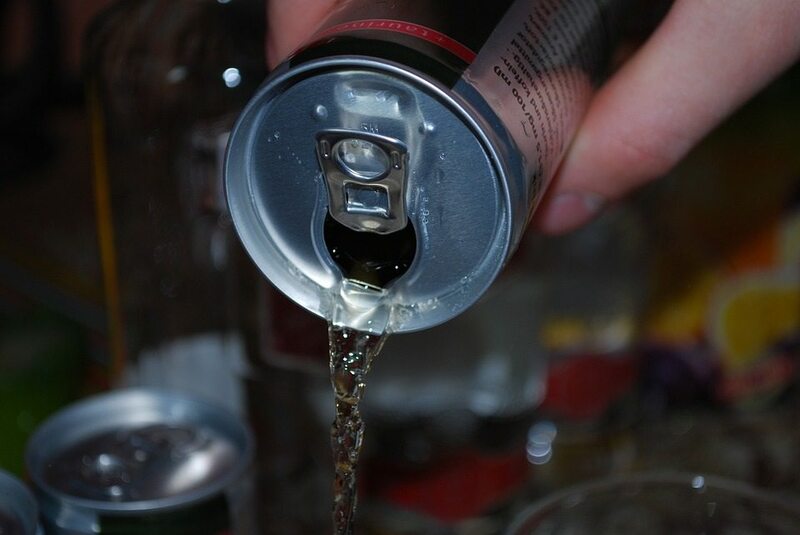 Respondents were familiar with energy drinks, with some previously consuming them in large quantities. The precise definition of an energy drink was complex, however, with confusion across all age groups as to whether coffee, sports drinks, nutritional supplements, and soft drinks were included. Some participants were aware energy drinks contained caffeine and sugar, but few could name other ingredients or how they influenced energy; serving size also caused confusion. Participants reported easy accessibility to energy drinks and consuming the beverages for the perceived increase in energy. After increased energy, taste was the second most common reason for drinking energy drinks, but taste also proved to be a deterrent. An understanding of the ingredients and health effects was also a deterrent to consuming energy drinks. Some participants were unaffected by energy drinks, but many reported experiencing negative physiological effects or knew someone who had. Peer pressure and social norms also influenced adolescent consumption, as did parental beliefs and behaviors, particularly among the youngest participants. Participants noted that energy drink advertisements, promotions, and giveaways all encouraged consumption. As a result of the group discussions, participants suggested five broad strategies to reduce young people’s energy drink consumption: (1) restrictions on sale and availability, (2) changing packaging, (3) increasing the price, (4) reducing visibility in retail outlets, and (5) conducting research and education.